Despite concerns about Bring Your Own Device (BYOD) security risks, employees over the past years have enjoyed the multiple benefits of BYOD. So too have employers, who are unlikely ever to stop staff from bringing their own devices to work or using them remotely for work purposes. The challenge remains to identify security risks associated with BYOD and find the most appropriate solutions to mitigate these risks. 1 Getting started – Who, What, When, and Where? 2 What are the risks of BYOD? 5 What’s preventing BYOD adoption – security or ambivalence? 5.1 How prevalent is BYOD really? 5.2 BYOD is a lucrative market, but for whom? 7 How do the big guys do it? 8 The bottom line – Who, What, When, and Where? Getting started – Who, What, When, and Where? Every organization has its own approach to BYOD and will need to implement custom protection in line. How is BYOD practiced in your workplace? What devices are being used, by Whom, When, and Where? Mulling over these considerations – Who, What, When, and Where – is the first step in formulating rules that can help balance the risks of BYOD against the benefits for both your organization and your employees. The benefits are substantial. These include more satisfied employees, lower hardware costs, and increased mobility and productivity for remote workers. In its heyday, BYOD was smart, practical, cost-effective, trendy, and super employee-friendly. IT departments were saving money. Employees loved working with tools they knew without the need to micromanage their digital lives. It’s not that the wheels then fell off, but as cyber attacks increasingly made headline news, a curious ambivalence towards BYOD set in that is still ongoing today. Organizations realized they had to start weighing up security costs against the value BYOD brought to the company’s financial bottom line. Besides the technical challenges, security and privacy are the primary BYOD risks. Technical challenges include connecting to wifi, accessing network resources like shared files or printers, and addressing device compatibility issues. Security and privacy are risks faced by both organizations and employees in different ways. Organizations tend to be more concerned about the security of corporate data (and how user behavior threatens it). Employees are more concerned about the privacy and confidentiality of their personal data (and what rights their employers have to access it). Local exposure – Loss of control and visibility of the enterprise data which is being transmitted, stored, and processed on a personal device. One of the inherent downsides to BYOD. Public exposure – Susceptibility to man-in-the-middle attacks and eavesdropping at public wifi hotspots often used by remote workers. Connecting to personal area networks, e.g. using Bluetooth, poses similar security risks. Malicious apps – Devices with compromised integrity. An example is applications with different levels of trust installed on the same device. For instance, allowing push notifications or enabling location-based services. A malicious application may be able to sniff, modify, or steal inter-application messages thereby compromising trusted applications on the device. In addition, even apps from official app stores may be compromised. In 2015, Wired reported that Apple removed over 300 pieces of software from the app store. This after malware that targeted developers’ tool sets managed to create infected iOS apps. Rogue apps – By gaining root access to mobile devices, there’s a risk that users (aka “rogue employees”) can bypass security restrictions. In some cases, they may install rogue apps. Cross contamination – Just one of the (many) risks of having personal and corporate information housed on the same device. Corporate data may be accidentally deleted. OS-specific security customization – “Jailbreaking”, “root”, and “unlock” are three popular procedures that users may execute on personal devices to remove vendors’ configuration restrictions. This makes them more vulnerable to insecure applications. They may be able to access device sensors (e.g. microphone, camera) or sensitive data stored on the device without restrictions. Personal data loss – A company’s BYOD security may rely on software that doesn’t make a distinction between personal and corporate data. So, if there’s a perceived security breach, everything on the device – personal and corporate – may automatically be deleted (called remote wipe). This is a bit tough if you didn’t back up the videos of the birth of your first child. Big Brother – While not intentionally doing so as was the case with Orwell’s anti-hero, a company’s IT department will most certainly be able to track an employee’s physical location at all times and be aware of their online activity. Security and data privacy stakes are arguably highest in the healthcare industry. That’s because patient data is a particularly lucrative targets for cyber criminals.At risk are medical histories, insurance and financial data, and identifying information. Here’s what you need to know about some of the potential weapons in your arsenal. EMM is similar to MDM. The main difference is that MDM manages all the features of the device while EMM manages the entire device. MDM systems managed devices in the BYOD 1 era. Over time, IT gurus identified real problem with BYODs and changed their strategy. The problem was the disparate risk posed to employees and organizations by having corporate and personal data on the same phone. Employees balked at the threat to their privacy and organizations worried about security breaches of corporate data. Enter BYOD 2 and Mobile Application Management (MAM). MAM managed applications rather than entire devices. Employees could feel their personal data was private and they had control over their devices (heck, they paid for them, didn’t they?) For their part, organizations now needed only to worry about the control, management and security of enterprise data and applications, rather than personal content. But does MAM work? One issue is that it’s difficult for MAM to manage apps from official app stores. To solve this issue, MAM vendors attempted to “wrap” regular off-the-shelf apps with their own layer of security, encryption, and control. The problem is that in order for an IT department to “wrap” an iOS or Android app, they have to get the app’s original package files from whoever wrote the app. But most app developers really don’t like to give these files away. Alternatively, MAM vendors wrote their own secure versions of the apps users wanted to download. This defeated the object somewhat. After all, one of the benefits of BYOD is the freedom to use one’s device in the way one is accustomed to using it. This was one of the driving forces behind the trend to BYOD. Companies like IBM who issued free Blackberrys soon realized that employees preferred and were more comfortable with their personal iOS and Android devices. VHD creates a complete desktop image that includes the operating system, all applications, and settings. Any machine can access the desktop, with processing and storage taking place on a central server. An example is Office 365. For remote workers, the main problem with this model was less than ideal performance. It only worked for basic office applications like word processing, spreadsheets, and basic messaging. VHD containerization places native applications inside a safe zone on a device. It effectively isolates and protects them from certain functions, such as wireless network connections, USB ports, or device cameras. The main problem with VHD containerization is the security issues inherent in client-side storage. In the old days, Windows servers easily controlled static user machines and were very restrictive. Today, controlling network access is more complicated because of having to deal with wireless BYODs using different operating systems. Modern NAC software – called Next Gen NAC – authenticates users, implements security applications (e.g. firewall and antivirus) and restricts the availability of network resources to endpoint devices in compliance with a defined security policy, specifically for mobile. NAC is a real stickler for rules and can perform risk assessments based on the Who, What, When and Where attributes of both the user and device. Administrators can create and automatically enforce strict granular access policies. For instance, a user / device combination that is perfectly legitimate during regular work hours may not automatically receive access to parts of the system after hours. Incidentally, in the industry, it’s often referred to as Role Based Access Control (RBAC). Next Gen NAC requires that the network recognizes the identity of a user. It only allows them access to the resources that are necessary by applying strict user role rules. In short, NAC controls the users that access certain types of data. It works best in concert with MDM, which enables organizations to monitor, manage, secure, and apply security policies on employee devices. DLP is a strategy for making sure that end users do not send potentially sensitive or critical information outside the corporate network. As information is created, DLP tools can apply a use policy for it, whether it is a file, email, or application. For instance, it could identify content containing a social security number or credit card information. Like Next Gen NAC, DLP is a stickler for rules. It essentially first slaps a digital watermark onto sensitive data. It then monitors how, when and by whom this data is accessed and / or transmitted. Different companies have different types of sensitive data. There are generic solution packs that target information generally considered confidential, e.g. the use of the word “confidential” in an email. DLP software could detect the use of the word “confidential” and perform some action, e.g. quarantine the email. The main downside to DLP is that poorly implemented rules can negatively impact the user experience. For instance, where a support role can’t access certain applications or data outside of work hours. A comprehensive strategy is the best approach, albeit taking cognizance of your organization’s Who, What, When, and Where BYOD usage. Comprehensive should include pairing solutions that work best when implemented in tandem, like MDM and NAC. Remote wipe is the facility to remotely delete data from a device. This includes overwriting stored data to prevent forensic recovery, and returning the device to its original factory settings so any data ever on it is inaccessible to anyone, ever. Widely reported on the internet at the time with some amusement was an incident involving Mimecast CEO Peter Bauer’s daughter. While playing with her father’s smartphone on their vacation, she entered several incorrect passwords. This resulted in the phone’s remote wipe feature activating, deleting all of the photos he had taken on the trip. Although a remote wipe feature is a useful security measure to protect data on a lost or stolen device, using it can result in an employee’s data being unnecessarily erased. The solution: organizations need to create a security balance between personal and work usage of BYOD devices. When alerted to a potential security breach, rather than automatically wiping a device’s data, security administrators could physically confirm it was lost or stolen. All it takes is a phone call. Organizations need to understand their own requirements for data protection. This is especially true in regulated environments where there may be compliance requirements, and compile a risk profile. For instance, international deployment and compliance requirements are two scenarios where BYOD risk levels are particularly high. Update operating systems, browsers and other applications frequently with the latest security patches. The Panama Papers debacle was one of the largest data leaks in history, caused, say security experts, by vulnerabilities in outdated software. Another aspect of staying up-to-date is ensuring that the devices of employees leaving the company are suitably wiped of corporate data. If they aren’t, the risk of any data being breached can continue well into the future. What happens, for instance, if an ex-employee sells their device? And did we mention the havoc disgruntled employees could cause with access to company secrets and intellectual property? Sensitive corporate data fetches a premium price on the Dark Web. It’s a good idea to limit access to enterprise data according to the nature of an employee’s job role. This is where Next Gen NAC comes in. Smarter data provisioning ensures minimum necessary access to sensitive data. In addition, segregation and VPNs can prevent sensitive data from being leaked via dodgy public wireless hotspots after hours. Don’t underestimate the value of the good old-fashioned key and padlock security strategy. Coca-Cola suffered from a data breach when an employee stole many laptops over the course of several years resulting in a number of data breaches. Coca-cola didn’t even notice the laptops had been stolen. The solution is for companies to implement a strict device tracking policy. This way they always know the whereabouts of all company devices whether in use or not. Another good practice is implementing a surveillance system that can monitor all devices entering and leaving company premises. Include visitors’ devices in the surveillance system. The rogue employee is a unique creature in the urban jungle. Or at least s/he believes they are. This is the person who is not obliged to follow society’s rules as the rest of us are. For instance, this person may fondly believe they drive better when under the influence of alcohol. In the workplace, the rogue driver has a similar scant disregard for policies and rules. TechRepublic way back in 2013 reported that 41 percent of US mobile business users had used unsanctioned services to share or sync files. 87 percent admitted they were aware that their company had a document sharing policy that prohibited this practice. Data breaches at their lowest level are due to human error. One of the solutions is regular, intensive security training for all roles, from CEO to tea maker. Which brings us to security awareness. Also reported by TechRepublic was the story about the security team at a non-profit organization that found out several teams using Dropbox without IT authorization had recently been hacked. The team, very sensibly, contacted DropBox. They told the CSR over the phone that they wanted to know more about how their organization had been using the platform. The phone rep volunteered more data than they had expected, telling them: “We have a list of 1600 user names and their email addresses. Would you like that list?” The cloud-storage vendor was clearly most interested in upselling them the enterprise version, and was willing to share a customer list without even authenticating the person who called. The rep was enrolled on a security awareness training course after this incident … we hope. According to an AMANET survey, a whopping 45 percent of employers track content, keystrokes, and time spent at the keyboard. However, to put this into perspective, 83 percent of organizations inform workers that the company is monitoring content, keystrokes and time spent at the keyboard. 84 percent let employees know the company reviews computer activity. 71 percent alert employees to e-mail monitoring. When it comes to BYOD, companies need to develop acceptable use policies and procedures that clearly communicate boundaries. They should explicitly describe the consequences of policy violations. BYOD requires mutual trust between an organization and its employees – data security on the one hand and the protection of personal information on the other. But this is of little consequence when a data breach leads to litigation. Enterprises must institute a formal registration and provisioning process for employee-owned devices before allowing access to any enterprise resources. Employees need to acknowledge they understand the rules of the game. What’s preventing BYOD adoption – security or ambivalence? How prevalent is BYOD really? When BYOD first became popular in 2009, 67 percent of people used personal devices in the workplace. Only 53 percent of organizations reported having a policy in place explicitly allowing such activity, according to a 2012 Microsoft survey. Down the line, things haven’t changed much. BYOD still appears to be in a state of flux. Let’s take a look at the figures. A global survey of CIOs by Gartner, Inc.’s Executive Programs found 38 percent of companies expected to stop providing devices to workers by 2016. The research giant went on to predict that by 2017 half of all employers would require employees to supply their own device for work purposes. There are few, if any, indications that that has in fact happened. A 2015 CompTIA (paywall) survey – “Building Digital Organizations” – found that 53 percent of private companies banned BYOD. Seven percent of those surveyed said they allow a full BYOD policy. A fully policy means the company takes no responsibility for devices. 40 percent allowed a partial BYOD policy. With a partial policy, a company provides some devices but allows some personal devices to access corporate systems. A 2016 study by Blancco (paywall) – “BYOD and Mobile Security” – surveyed over 800 cyber security professionals who were part of the Information Security Community on LinkedIn. The study found that 25 percent of the surveyed organizations had no plans to support BYOD, didn’t offer BYOD, or had tried BYOD but abandoned it. The study found that security (39 percent) was the biggest inhibitor of BYOD adoption. Employee privacy concerns (12 percent) was the second biggest inhibitor. 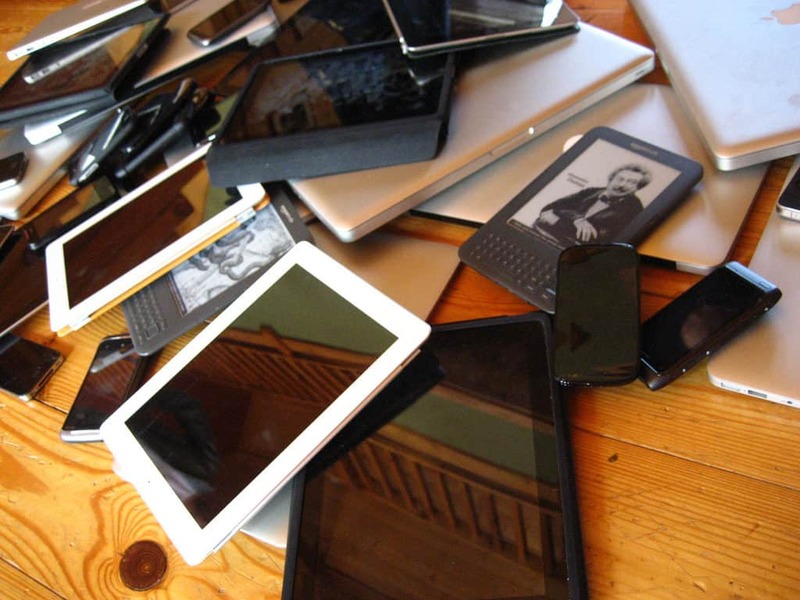 Bottom line: dissenters may be forgiven for considering BYOD, to a certain extent, hype. BYOD is a lucrative market, but for whom? A Markets and Markets survey (paywall) indicated that the BYOD and enterprise mobility market size will grow from USD 35.10 billion in 2016 to USD 73.30 billion by 2021. There certainly seem to be multiple opportunities for vendors to produce (financially lucrative) risk mitigating applications and BYOD management software. The Blancco study also found that security threats to BYOD were perceived as imposing heavy financial burdens on organizations’ IT resources (35 percent) and help desk workloads (27 percent). But 47 percent of respondents said reduced costs were a benefit of BYOD. Despite the perceived benefits and concerns about the security risks of BYOD, only 30 percent of respondents said they would increase their BYOD budget in the following 12 months. These figures seem to indicate it’s not only security risks that are preventing organizations from wholeheartedly adopting BYOD. CYOD is an increasingly popular option with larger organizations. Unlike BYOD where the user can use any device, organizations have to approve the use of CYOD. Pre-configured devices should provide all the applications necessary for employee productivity. By deciding which devices its employees can choose from, a company knows exactly what each device’s security provisions are. The company also knows what version of what software each device is running. It can be sure all its own apps and software are compatible and consistent across the company. With the COPE model, companies pay for their employees’ smartphones. The business retains ownership of the devices. Just as they could on a personal device, employees can send personal emails and access social media, etc. The downside is that controls can prevent corporate data from being available on the phone outside of set parameters. This can defeat the object for remote workers. For many smaller companies, BYOD seems to be the elephant in the room. What the big guys have in common is a plan, and an eye on the bottom line. IT administrators must also be able to access employee BYODs for security reasons. Reasons included conducting remote wipes (called “poison pill” technology) of lost or stoen devices, or to scan for security threats. This approach, explains Google, challenges the traditional security assumptions that private or “internal” IP addresses represent a “more trusted” device than those coming from the internet. It enables granularly enforced access and gives a precise way of expressing risk thresholds. Users have the flexibility to use a range of devices, and choose less secure configurations for their convenience (such as a longer screen unlock time or removing the PIN completely). They can also opt into different levels of enterprise management. A user’s level of access to enterprise services will depend on the device, its current state and configuration, and their user authentication. At IBM, proper use guidelines exclude a multitude of services employees regularly use on their own devices, but do offer in-house developed alternatives. Regular services include DropBox, email forwarding, voice-activated personal assistant Siri, and public file transfer programs like Apple’s iCloud. The problem is, if IBM (or any other company) is going to strip these devices of the very things that attracted users to begin with, chances are, those devices will stop being used for work at all. When Colgate instituted its BYOD program, the company estimated it would save $1 million a year. That’s the cost of license fees it would have had to pay BlackBerry maker Research in Motion if the devices were under corporate ownership. The bottom line – Who, What, When, and Where? The trick to dealing with the threats inherent in remote working and BYOD is to have a network which is contextually aware. A context-aware network is one which can identify the source and nature of traffic – by location, type of device, and behavior, e.g. whether it is usual or suspicious. By identifying potential threats, the system can make an intelligent decision as to how to respond. For example, it might not allow access to a device that is not in the same geographical location as another device belonging to the same user. Or, it might allow limited access to a user logging in over public Wi-Fi. It may also restrict access to certain files or parts of the network. BYOD is actually one of the least of the threats organizations face from cyber criminals. An FBI report – “2016 Internet Crime Report” – conservatively estimated victim losses to cybercrime in 2016 at $1.33 billion. The lesson: put BYOD into perspective in terms of value versus security risk, and if you decide it’s worth it, configure practical rules to make it work.